Be your own Milky Mama Barista with our delicious Lactation Latte mix! Get your coffee fix while making more milk at the same time! 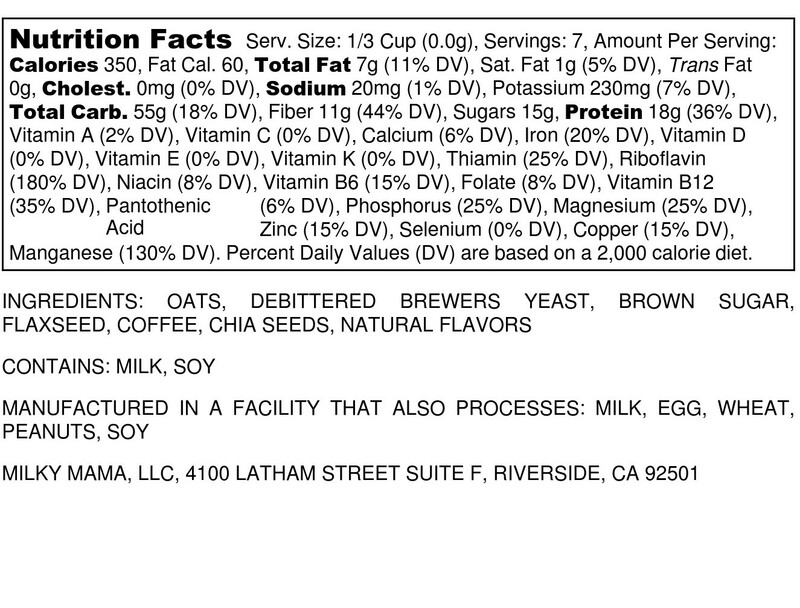 Add 1/3 cup of Lactation Latte mix with 1/2 cup of milk (almond, soy, dairy, etc.) and 1 cup of ice. Blend well until smooth. Contains 24 mg caffeine per 8 oz.